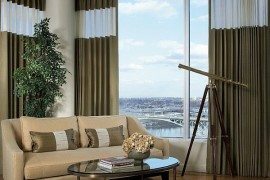 While most people think window treatments are only used for beautifying your window they actually serve more purposes than just this. Window treatments are especially useful for security in providing privacy inside your home and keeping the outside world from seeing in. Your fall home can benefit from window treatments to keep harsh sun rays from damaging your furniture and they help control glare when you are sitting in your home office or trying to relax in the bathtub. If you are trying to choose the best window treatments for your fall home, here are some great ideas. 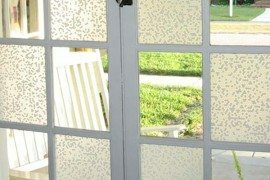 Windows come in all sizes and styles and believe it or not window treatments should fit the style of window. 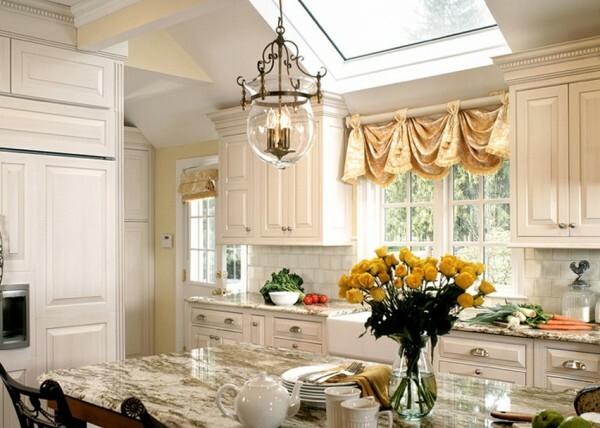 Many windows such as skylights or transom windows that are at the top of doors or even clerestory windows, which are located at the top area of a wall, don’t need treatments. 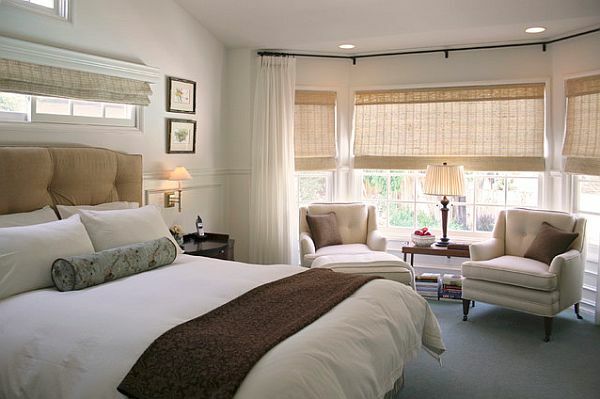 If lower areas that have multiple windows in a row – consider using a unifying valance to tie them all together visually, or opt for Roman shades on individual windows to have more flexibility in light control. Depending on your decorative style and your interiors style will dictate if you prefer traditional treatments, such as swag drapery that are secured with tiebacks or you prefer modern treatments that roll down or are even motorized. If your home has a more transitional style or it’s a mixed bag of styles consider layering sheers, valances, and shades with curtains that may or may not be functional. Many homes now incorporate decorative fabric panels that are just for decoration to add texture to the wall and enhance the overall window wall. 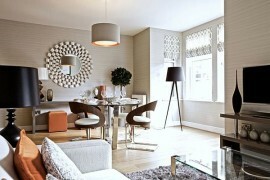 When choosing window treatments a key factor to remember is: what does the function of the room need? 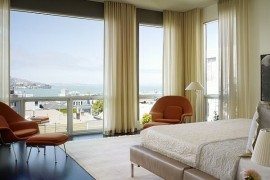 Bedrooms and bathrooms require treatments that can be closed for privacy, unless your home in in a high-rise building or there isn’t a need for privacy from outside onlookers. 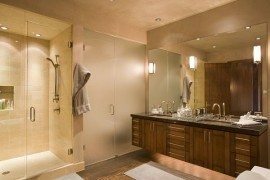 In bathrooms consider shades that have a split aesthetic, so the bottom half is closed for privacy and the top lets in light. For rooms such as family and living rooms you may opt for treatments that have flexibility in opening and closing off the outside world to keep out light for watching t.v. 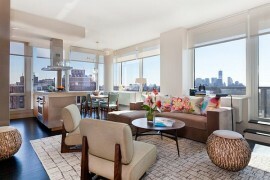 or for opening up to enjoy the view. Deciding on window treatments can often be a challenge but once you determine what room they will go in, the style of your decor and window and what function they need to serve the challenge is no longer a difficult one. 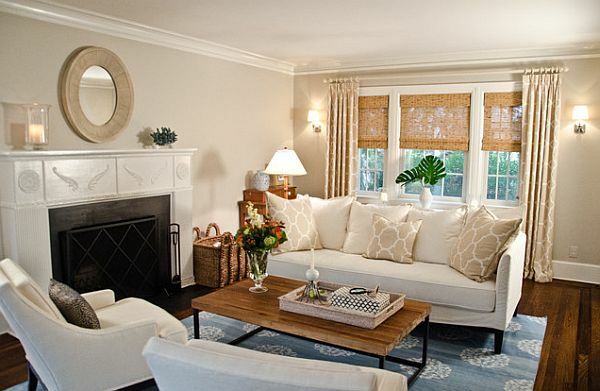 The beauty of choosing treatments is the vast amount of styles that are available and many home enthusiasts choose to create a do it yourself or DIY project from matching sofa, and throw pillow fabric for a coordinated look in their home. 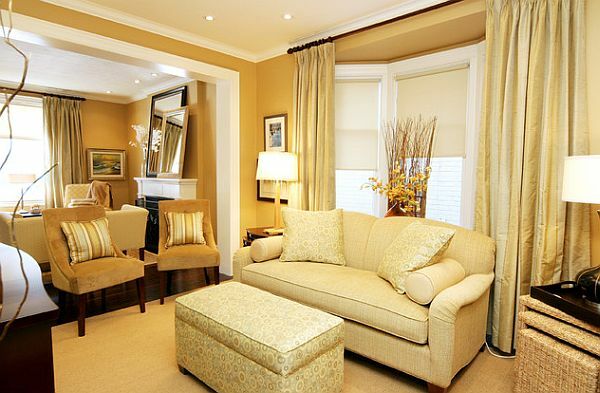 So go ahead and get going on creating the perfect room with lovely window treatments.